Recently, the credit market for mortgage loans has seen some dramatic changes for the better. After years of extremely tight lending guidelines and risk avoidance by major banks, there are new loan programs that allow more flexibility. This means that we are getting more loan approvals for today’s home buyers and current homeowners seeking to refinance. The new changes will help the housing market in general and especially those who are eager to purchase but just need a flexible loan program in order to get an approval. These Alternative Mortgage Programs are now being offered at very competitive rates and terms by some of the largest wholesale banking firms in the nation. Of course each lender has its own guidelines, but these programs are much more flexible in the three main areas of credit, down payment/equity and qualifying income. Credit score requirements have been lowered with some programs allowing scores as low as 500. In addition, the waiting periods for previous bankruptcies, foreclosures and short sales have been reduced giving more borrowers a chance to get back into the market sooner. The amount of down payment or equity required is also less with these new flexible programs. Some purchase loans only require .5% down, which means 99.5% financing. 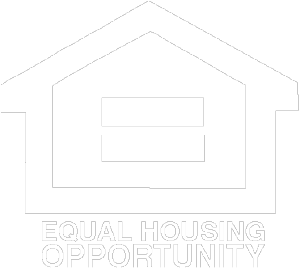 There are also refinance programs that require no equity and the loan amount can exceed the current property value. These higher loan-to-value (LTV) programs give borrowers more options. Less qualifying income is needed with these programs. The traditional debt-to-income ratios of 43% have been expanded to 55% in many cases. More flexibility is also given to addtional income sources that can be used. The improving credit market is providing borrowers who were previously unable to qualify the financing they need to purchase homes and refinance to lower interest rates, pay off debts and fund home improvements. Brian and his team have been funding real estate loans for over 27 years. Since 1991, they have funded over 3 Billion Dollars in loans. You can reach Brian at 800-607-1941 x220 or bbush@slglends.com . Real Estate Loans for the Purchase and Refinance of Residential Properties in California.